How are your courses designed and delivered? Which edition should I choose; Standard or California? What are the system requirements in order to take your online course? Do you report my Continuing Education credits to the IRS and CTEC(if applicable)? Is The Income Tax School an eligible education institution that can issue college credit for the Lifetime Learning Credit under Internal Revenue Code? What type of jobs are offered after completing the course? Do you provide the answer keys to study questions and learning activities? You will receive a “Course Product Key” email after your online purchase. This is a separate email from your Order Confirmation. Follow the link on the Product key email and enter in the 20-digit code. User logins are issued automatically after the Product Key is registered. You user login information will then be sent to you in a subsequent email. 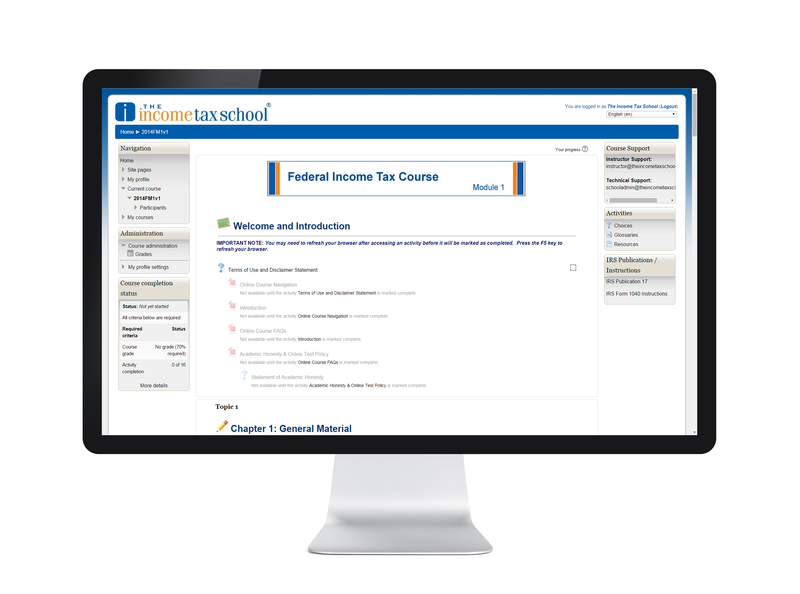 How much time do I have to complete a tax course? 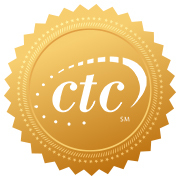 California residents are required to complete 60-hours of qualifying tax education from a CTEC Approved Provider to become a CTEC Registered Tax Preparer (CRTP). 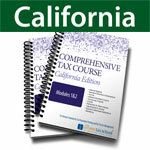 Our CA edition of the Comprehensive tax course includes an addition California state supplement to go with the federal tax law topics and is approved by CTEC for qualifying education.If you are not planning to become a tax preparer in CA, you will simply need the Standard edition, which includes only the federal tax laws. In order to take our online courses, you must have access to the Internet (high speed internet access is recommended). You can access the course contents from any web-enabled device. You do not have to use the same computer to log-in to the course every time. Adobe Reader is required to view the PDF versions for print of the online reading material. Do you report my credits to the IRS and CTEC(if applicable)? Highly recommended. The courses are wonderful ; manuals, activities, resources, updates, and instructors are truly supportive, encouragement and good guidance are part of success and you will find it here. Every time a challenge is achieved, I move from zero to a new skill or knowledge. Definitely, I will continue my journey with them. I’m half way through the tax course and what a wonderful experience it has been! I have learned so much and they give you the tools to understand everything. Their customer support is top notch and an instructor always emails you back pretty quickly when you have a question! I strongly recommend paying for the books on the side. 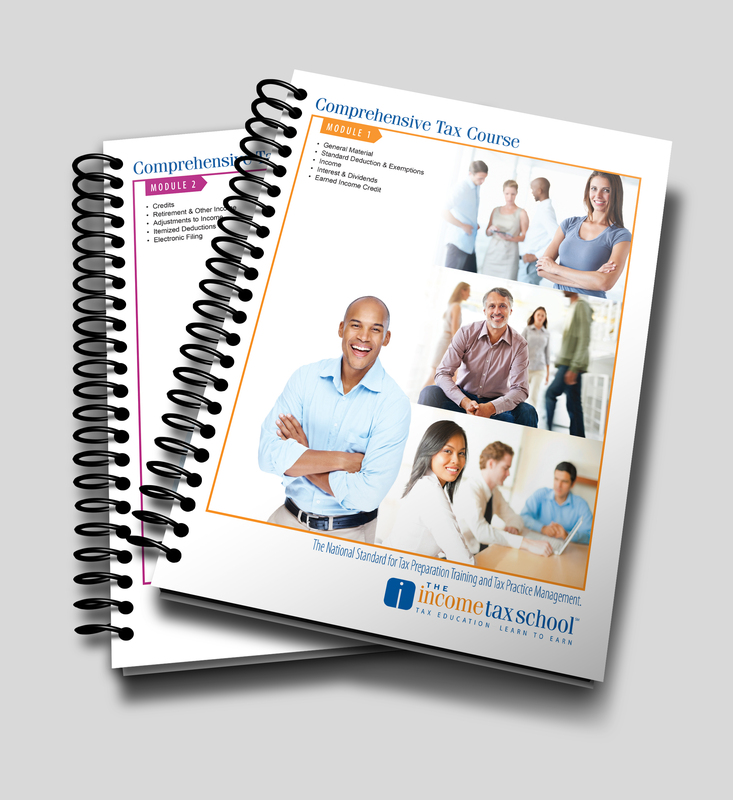 I did a lot of research before choosing this tax school and I am glad I chose them! Have you looked at the instructions for the 1040 IRS return? It’s an overwhelming book of tiny print! 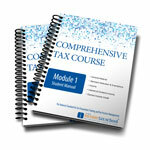 This class has been very helpful and thorough in its presentation of our tax code and how to use it. I would recommend it to anyone who wants to understand the tax laws. There are great learning activities and exercises that help make the step by step filling out of a tax return easier to accomplish. The instructors are readily available and have answered all of my questions quickly. Anytime I’ve needed more clarification, they have been quick to provide it. I’m excited to continue into my future more prepared to handle my own business tax preparation as well as offer my services to others. It’s a great tool for learning a complex system. Highly recommend. Instructors are terrific. Tough and demanding course. You will be prepared when you finish! 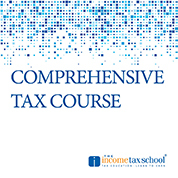 I have enrolled in the Income Tax School Comprehensive course and would like to say, I am very impressed with the organization of the course, the detail of the information covered and the ease of navigating this course. I ordered the Module Books to go along with the course and everything has flown very smooth. I am impressed at the ability to contact teachers with questions and the updates shown at the beginning of each chapter for minor errors (mostly updated info in the course vs the manuals) This course, so far, has given a big bang for the buck & I would highly recommend it. I work in an accounting office. Your course covers a lot of important information and you learn a lot. The only problem is in the tax world you are expected to make none or very few mistakes and your site should be the same. Besides that I have found the instructors I worked with very pleasant and thoughtful. 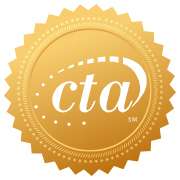 We appreciate you taking time to contact us regarding your experience with our course. We know there are errors in the course and are working to post the corrections. First, allow me to apologize for the frustration that you have felt. This is not the normal standard operation of our school. We were required to make tremendous changes to our curriculum this year due to changes in the requirements from a couple of our approving bodies. This resulted in multiple errors due to the massive number of changes that were made. Please understand, this is in no way an excuse. We are working to get all of the corrections posted to avoid this issue going forward. The person who normally makes our corrections, retired and is no longer with our company; her absence has been a huge void to fill. We have someone currently working on getting corrections posted, but there has been a learning curve. We are working to get this done as soon as possible in hopes of easing the frustration for students going forward. I would like to say a few words about a couple of GREAT instructors you have at your school. Ms. Colyer and Mr Brindle were my rock. They were so helpful. When I was stuck, they would review my work (which is not easy) and send it back with corrections. One thing I liked is they never gave me an answer. They made me work for the answer, but guided me in the right direction. I have to tell you, I was about to give up so many times. I started off real good, and thought…oh this is going to be easy… Well, did I ever get a wake up call. There were times when I just said I can’t do this anymore. I would voice my comments to Ms. Colyer or Mr Brindle, and they would respond with such positive replies that just made me want to continue. I can’t tell you what this means. They would push me so much, I actually felt like they cared, and they wanted me to succeed. And guess what, I DID! I finished, and I have to tell you its ALL because of them. They are both extraordinary people and GREAT if not the BEST Instructors you have and I have to tell you if it was not for them I would have never completed this course. I would like to praise Ms Colyer and Mr Brindle for their help, for their knowledge and for their patience with me, and because as I said, if not for them I would have never received this certificate of completion. THANKS MS COLYER AND MR BRINDLE. I LOVE your courses! Flexible, simple, and forces you to read the IRS publications. I’m working on my BA in Accounting (will be done in a year) and this course helped me fly through the tax courses like a breeze! The Comprehensive Tax Course was everything that I wanted. It was a great course, that went into great detail, and was easy to follow. As a train commuter, I benefited from having the printed out textbook, so I didn’t have to bring a laptop with me. I suggest doing this if it works for you. I was very happy with the number of returns that I was able to do in the course. This was great practice for real world situations. This course was great… This is extremely hard work. When i started i thought this was easy. Plus the instructors are TOP NOTCH!!!! I have had many struggles and if it was not for my instructor I would have not gotten this far. Name will be provided if requested. I have taken The Income Tax School Basic, Intermediate, Advanced I and Advanced II classes and thought they were excellent! The Income Tax School lead me to pass the SEEs and become and Enrolled Agent. Their pricing is also very reasonable. I will always recommend The Income Tax School for furthering your education.